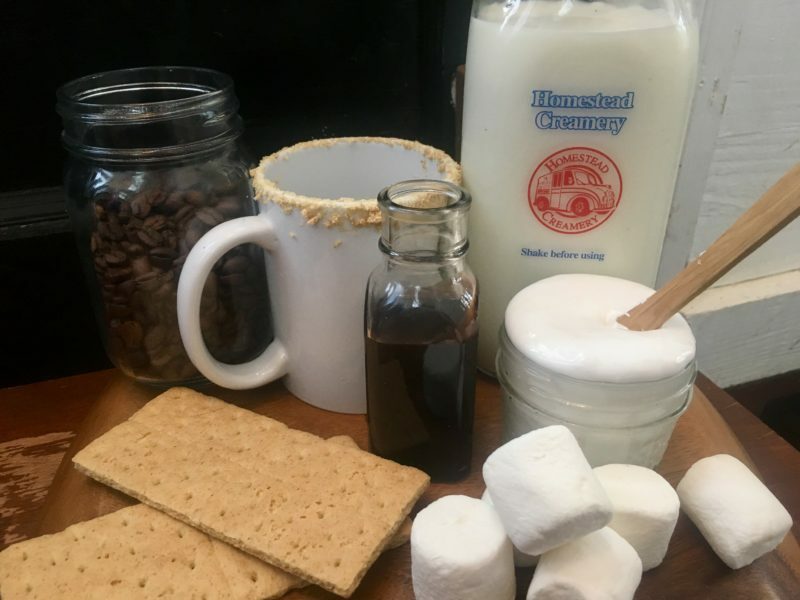 Campfire S'mores Latte Recipe - Perfect Chocolatey Fall Coffee Drink! Fall is on it’s way! Who doesn’t love sitting outside on a cool crisp evening around a warm campfire, making fresh s’mores with friends?! While that thought is quite lovely, all too often the reality of those fall evenings becomes your children covered in a sticky goo, stabbing each other with flaming marshmallow spears! 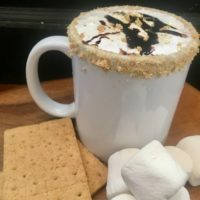 If you are craving that fall feeling but not up for the mess and chaos, you should fire up the ol’ coffee pot and whip up this s’mores inspired latte! For an even more authentic experience, crank up the “fireplace” video on Netflix, put your feet up and sip away on this perfectly “fall-y” treat! Rub the rim of your mug with a little honey and then roll through the graham cracker crumbs. This not only looks super fun but gives that extra level of flavor to your latte! Then carefully add in your hot coffee. Add the warm and frothy chocolate milk to your mug of coffee and then dollop with a nice spoonful of marshmallow creme or a handful of mini mallows! Drizzle with a little more chocolate sauce and enjoy. 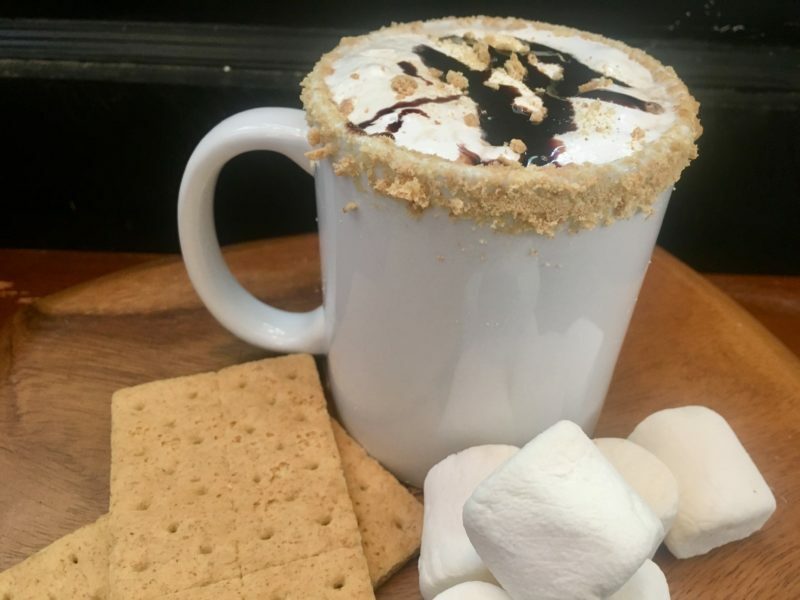 This delicious Campfire S'mores Latte is a fall favorite that chocolate lovers will be sure to enjoy. 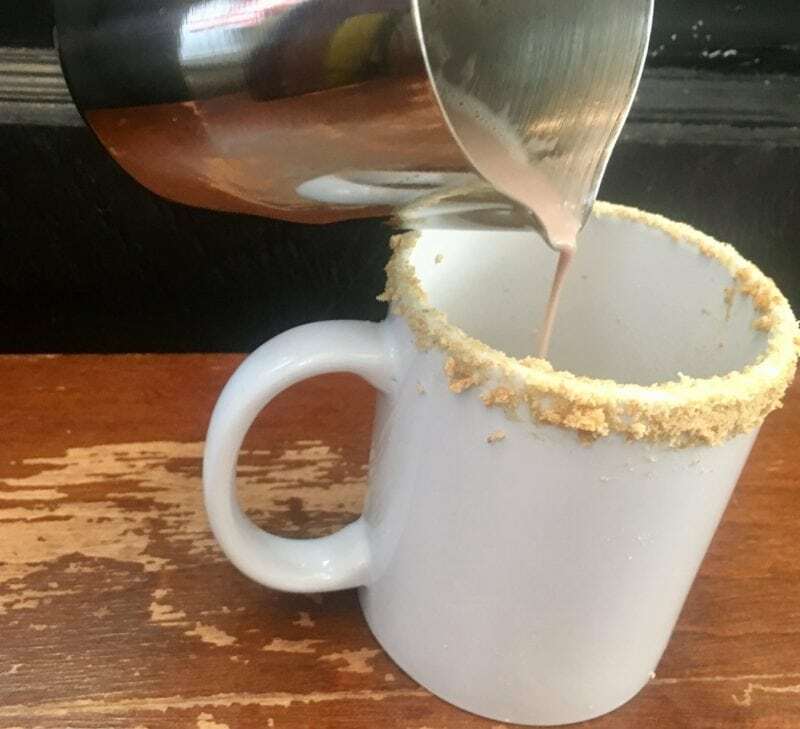 Rub the rim of your mug with a little honey and then roll through the graham cracker crumbs. This not only looks super fun but gives that extra level of flavor to your latte! Then carefully add in your hot coffee. 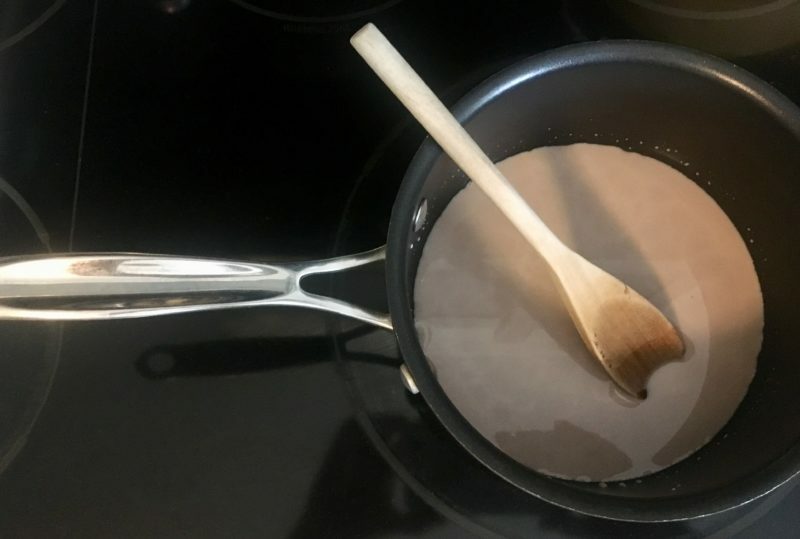 Mix your chocolate syrup and milk in a small saucepan and heat until warm and bubbly. Add the warm and frothy chocolate milk to your mug of coffee and then dollop with a nice spoonful of marshmallow creme or a handful of mini mallows! Drizzle with a little more chocolate sauce and enjoy!